Volume 9 - 1st printing. "Gordon's War!" 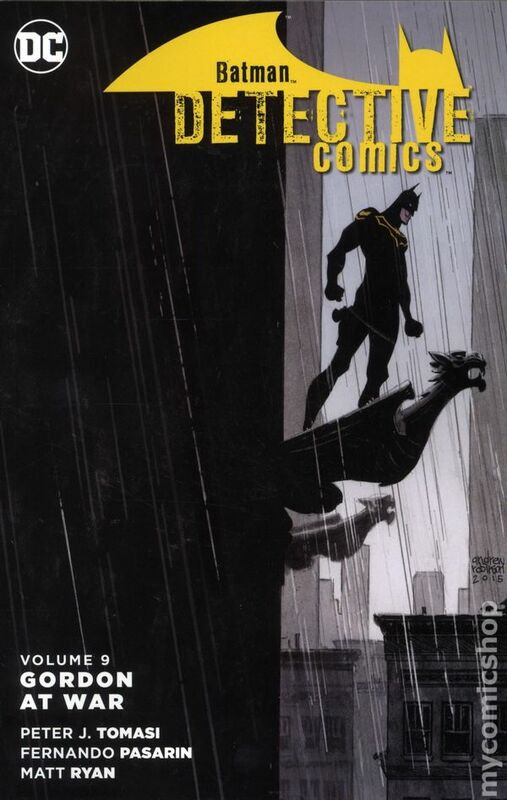 Collects Detective Comics (2011-2016 2nd Series) #47-52. Written by Peter J. Tomasi and Ray Fawkes. Art by Fernando Pasarin and Scot Eaton. Cover by Andrew Robinson. A case from Jim Gordon's past may decide the future of Batman. And Gordon must balance the new freedom he has as a superhero with his belief in the system he helped build.